hightouchmegastore: Fillo dough vs. me. this wasn't hard. not at all. or only a little bit. okay, there was a hard part. That's spinach and feta pie. We ate it for dinner two nights ago and also last night. It was delicious. [backstory: A couple of months ago I bought yet another cookbook, yet another Jamie Oliver production. so cute! and righteous! and cute! 30 minute meals! 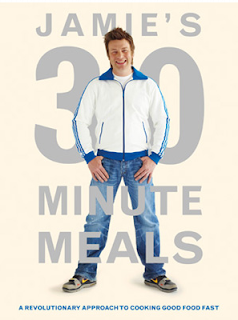 Let me state parenthetically that I think Jamie Oliver is the cutest, and also I admire his boundless energy and optimism and the way he throws himself behind a great cause, and also how cute he is. And a thirty minute meal sounded good to me, me who wanted to cook more in the new year blah blah blah and also buy more cookbooks, obviously a goal I am superb at. SO a couple of weeks ago or maybe sooner, who can keep track? I decided I was going to make three things from the cookbook: tomato soup (made it, good but not thrilling), cauliflower curry Rogan Josh (interestingly, there's a curry paste called Rogan Josh, which, when I read the name, sounded like either a movie star or a good mate of Jamie's, but no: it is a Pakistani/Kashmiri dish of lamb)(which I have not yet made, fyi), and spinach and feta pie. The latter recipe sounded rawther interesting and not so terribly challenging, because it was only eggs, feta, lemon, oregano, spinach, a little salt, pepper, cayenne, and fillo dough. Which, it's important to note here, I had never ever ever worked with before, or maybe only once but erased from memory. Since "how hard could that be?" is my life motto, I was all about this dish. The historian loves spinach and feta, and I love a pie. So I came home from work on a long and exhausting day and thought, dammit, I am making that damn pie. I think we can all agree, this is an excellent state of mind for fussing around with a fussy and easily-dried-out and therefore infinitely-self-dismantling pastry. Hells yes! Let's make that damn pie, and let's be quick about it because: thirty minute meals! It goes a little like this: beat 5 eggs in a bowl with 12 oz. feta, crumbled, and 2 oz. cheddar, grated. Add in a sprinkling of oregano, dried. Squeeze in half a lemon's juice. In a large-ish (10 in"?) cast iron or otherwise ovenproof frying pan, heat some olive oil and a little butter, and wilt 1 lb. of spinach until it is entirely wilted. Put the wilted spinach in with the eggs and feta, etc. You have an empty frying pan now, just to be clear. See? that's just one paragraph. One paragraph takes seven minutes, tops. Now, spread out a giant sheet of parchment paper. Is your parchment paper not a span wide? then take two giant sheets, side by side. Put some olive oil all over that paper. I'm about to unleash the fillo dough on you, so I feel it's time to have a new paragraph. Unwrap and unfold the fillo dough. With your extra-sensory perception and/or your third eye, observe how the dough begins to dry out even as you have barely unwrapped it. Lay four sheets, slightly overlapping, on the parchment paper. It will be a large four-sectioned rectangle. Pour some olive oil over that and lightly pat it all over and try not to let the fillo dough grip you in its fragile death grip. Put some more fillo dough over that first layer and oil it up again. Salt pepper cayenne. By now your wad of fillo dough will be almost as dust and will want to crack and fragment and otherwise make you want to scream. But that's okay, you just need two more layers! Just two! And then there will be another difficult part! So man up, you big baby! Okay, so do you have your four layers? That took, like, three minutes--it only felt like your entire life. You just have to fit that fillo dough rectangle into the bottom of the frying pan. Piece of cake. Piece of crumb cake. Let me just say that your fillo dough rectangle will not be jaunty and more or less planar. No, it will be floppy and flippy and also crumbly and just, in general, a horror. So you can either (a) try to flip it in a very speedy, smooth way, if you're a fillo-athlete-genius type, or you can (b) turn your frying pan upside down on the fillo, and then flip the entire misbegotten affair over, stuff the fillo into the bottom, and try your damndest to peel the parchment off the fillo dough which will cling like the neediest little codependent person. Go ahead and scream. Curse. You probably better. Who knows if you'll make it through unless you do? Then you put the spinach-egg-feta mixture in the dough-lined frying pan, fold all the remaining fillo over the top (this is easy), and put the whole thing into a 400 degree oven for, like, 18 minutes. Thank what ever God you worship for getting you through that. But when you eat it, you'll think, wow, this is so good! I will probably make this again! I am the boss of fillo. This post is killing me. In a good way. Have I mentioned I love reading your writing and look forward to a new post every day? True story. You are the boss of fillo. That blasted fillo dough can be a beast, to be sure. After reading your post, though, I just might be brave enough to battle it again. The rewards look positively delicioso! Zoe and I make spanikopita about once a month. We laugh at the triangles we pretend to make. It's a two person job, this filo dough. One person to butter the layers and the other to keep an eye on the filo dough and keep a wet towel on them but not too wet or otherwise they soak and glob together but not too dry or, esp. in these high desert climes, they turn immediately to dust. Your spinach pie made my mouth water. That never happens. I'm making it tonight. Nik, if you make it, add pinenuts to the filling. I forgot that detail. They are, as usual, delicious. There are often times when I read these posts of yours I think I want to make my own little book of them, like monks used to make their little book of hours to carry around with them, as I would carry the htms around with me and keep it so when I am old and hopeless and lying there with no guts to get back up I could read them to make me laugh and get back up and keep going because nothing is the boss of nobody unless they let it, as I've learned from reading you! I am still smiling. A LOT. And actually this reminded that I, too, love a pie, So I got some rhubarb pie at Croshaw's last night, AND I ordered a whole key lime pie to pick up this morning (Sat.). Clearly the pie thing is working out better than the exercise-and-diet-while-I'm-here-in-St.-George thing. I love it when I am the boss of things. Today, I was the boss of having a nap. I forgot I had read this alraedy and read it again today with renewed enjoyment. And I still want myown htms Book of Hours. In which I request a do-over. On trying to make a screencast. And now for a few, final, movie-related opinions. Another episode of worse or better. Monday, better known as Tuesday.